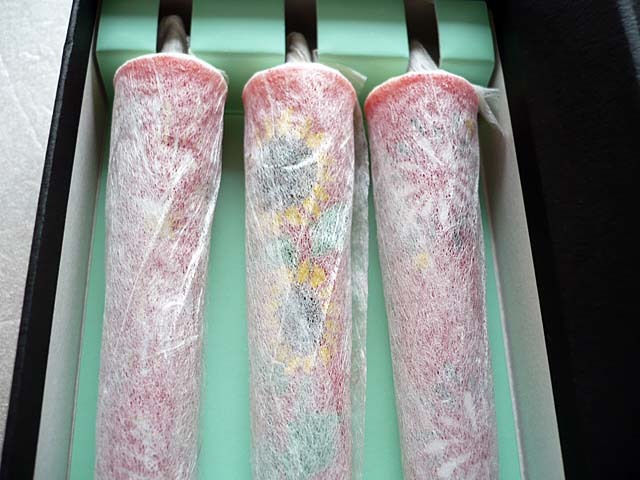 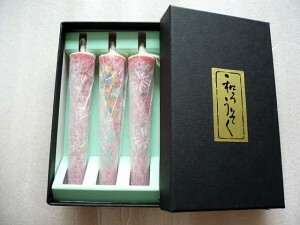 This is the Japanese traditional handmade candle stick 3 pieces set. 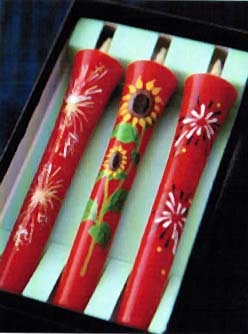 Fireworks and sunflower paints are so cute! Burnable Time: about 100 minutes.